In its drive to raise the profile of table tennis, Rwanda Table Tennis Federation (RTTF) has decided to stage its first international tournament as the Eastern African country will be hosting the maiden East African Junior Table Tennis Championships on November 30 to December 2 at the Green Hills Academy Gymnasium, Nyarutarama. Quoting the Secretary General of RTTF, Innocent Bahati, the spokesperson of the federation, Daniel Ruziga said seven countries in the region have confirmed their participating in the three-day tournament. The confirmed countries are Uganda, Tanzania, Kenya, Mauritius, Djibouti, Somalia and hosts Rwanda. “In addition to the seven, we also still expect confirmation from Comoros, Madagascar, Eritrea, Ethiopia, South Sudan and Sudan,” Innocent Bahati said. Umpire and coaches training will herald the kick off of the tournament. For RTTF President, John Bosco Burungi, the tournament would afford the country to showcase its potentials as well as attract more people to the sport. 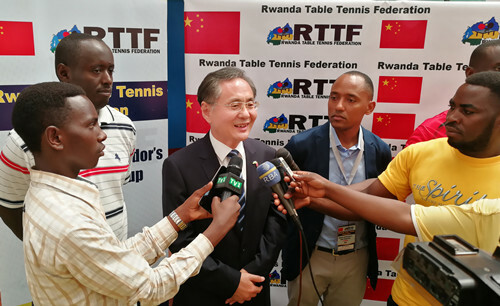 “This will be our first biggest regional ITTF competition to be hosted in Rwanda. RTTF believes hosting such bigger competitions will yet again boost the sport in terms of awareness and will attract the public to join the sport in Rwanda especially among youths at grassroots. We also plan to organize training camps, where parents can register their children who are interested in learning and playing the game,” the RTTF boss added.